Archadeck | Outdoor Living is the nation’s leading designer and builder of outdoor living projects, which includes decks, screened and open porches, sunrooms, patios, outdoor kitchens and fireplaces, gazebos, pergolas and related outdoor living structures. Archadeck is known for designing custom projects that blend seamlessly into the existing architectural style of the client’s property. With over 30 years of experience, the Archadeck System has been making the outdoor living dreams of our clients come true with a variety of custom designed backyard projects. Archadeck | Outdoor Living has been featured on HGTV and the DIY Network and is consistently ranked as the nation’s top deck and porch builder by Qualified Remodeler Magazine in their annual survey of remodeling firms. Enjoy building a business to reach your career, lifestyle and financial goals all out of the comfort of your own home (or the great outdoors). Enjoy a schedule that is flexible and completely under your control while exercising your creativity and working with appreciative clients to positively impact their family’s lifestyle. Low overhead costs: You don’t need a storefront as many of our franchises start their business from their home office. Employee costs are low as the Archadeck business model utilizes qualified subcontractors that we help you identify, interview and hire. Inventory costs are negligible, as most building materials are ordered as needed and paid for by the client in a series of progress payments common to the construction industry as the project progresses through the various stages of our documented “Job Progress Methodology”. “Recession-resistant” business model: When finances become tight, consumers are more likely to make improvements to their existing home rather than move to a newer one. And when the economy is good, consumers enjoy investing in more expansive outdoor living projects that improve their quality of life and add value to their home. Either way, outdoor living is an extremely popular lifestyle category and an extraordinarily attractive option for homeowners. Outdoor structures such as decks offer a greater return on investment than almost any other type of addition or renovation according to the annual “Cost vs. Value” report from Remodeling Magazine. And the Archadeck Outdoor Living business opportunity is about much more than just decks. We build porches, outdoor living rooms, sunrooms, hardscape patios, outdoor kitchens and fireplaces, pergolas, gazebos and more. Once your customer finishes one successful outdoor living project with you, they will count on you for future projects and refer you to their friends and family members who are also in need of a quality outdoor living contractor. Proven sales process: You will benefit from the proven Archadeck sales process which is based on a more consultative approach to design and construction issues and is extremely popular with our clients. You’ll be working with high quality sales materials and tools such as our iPad sales app, project retainers and our exclusive “Design Guide”, which helps our clients better visualize the specific features they want to include in their project. And while many of your competitors might scribble deck dimensions and a rough layout on a napkin, you’ll deliver a fabulous 3-D computer generated rendering and construction drawings from our Drafting & Construction Services Department that will knock your customers’ socks off. The designs will be presented as professional CAD drawings accurately depicting the superior visual impact of the finished product. Customers’ worries are put to rest by construction standards proven on over 100,000 Archadeck projects and 30 years of exemplary operation. And to nail the deal shut, you’ll offer not only the strong Archadeck written warranty, but a third party guarantee of project completion on all projects, which offers unmatched levels of client protection. 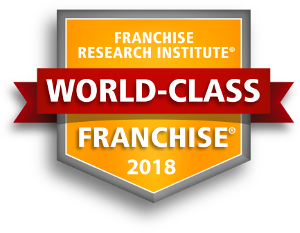 Exceptional training, marketing resources and materials, business guidance and operational coaching will help you reach your goals and you have the added comfort of knowing those services are provided by Outdoor Living Brands, a multi-branded franchisor with over 200 franchisees across North America. Work from home with the comfort of a flexible schedule that is completely under your control and enjoy the tremendous satisfaction that comes from designing and building projects that add enjoyment and lasting value to your clients. Protected franchise areas are still available in extremely desirable locations. General Project Management Experience: Experience managing both projects and people and the ability to follow a well-documented process. Please note that a background in the construction or remodeling industry is not required. Solid work ethic: Attention to detail, diligence and a determination to provide the best possible service and product are an essential part of the customer service experience that sets Archadeck apart. Creativity: Has the ability to think creatively and solve problems through our proven and innovative approach to design and clearly enjoys the outdoor living category. Initial franchise fee ranging from $24,750 – $49,500 depending on the type of territory awarded to a candidate. Discounts available as a VetFran participant or as an add-on or conversion franchise for candidates that currently operate another remodeling, construction or outdoor services company. To learn more about a franchise opportunity with Archadeck Outdoor Living please visit our website at www.archadeckfranchise.com. "I believe that they genuinely have our best interest at heart. Our goals are aligned." "I believe we share common values regarding quality and responsiveness - both to each other and the customer." "They are there for us. It's as if we were working out of the same office." "There is always someone available to discuss problems." To obtain your FREE report about Archadeck Outdoor Living, please fill out the form here.